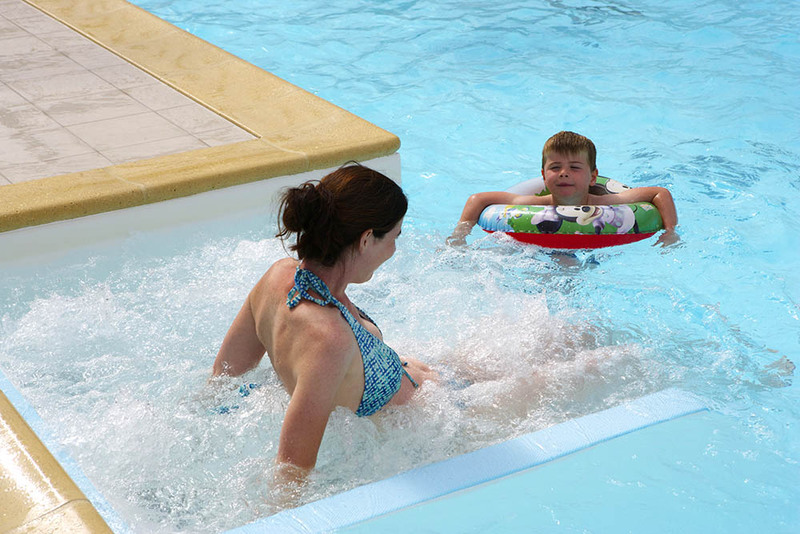 Whether you come for a romantic stay for two or with family and children, the pool is the ideal place to relax and take full advantage of your holiday. 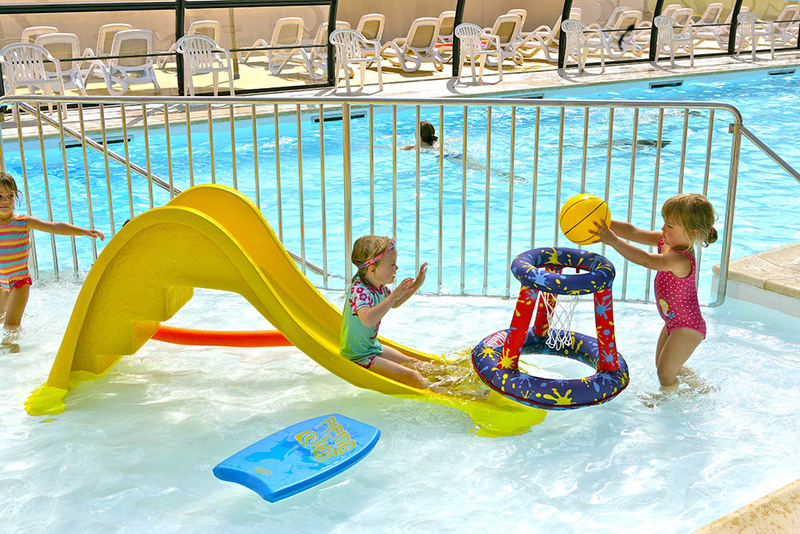 The pool is designed to fully enjoy the waterpark and offers you plenty of comfort. 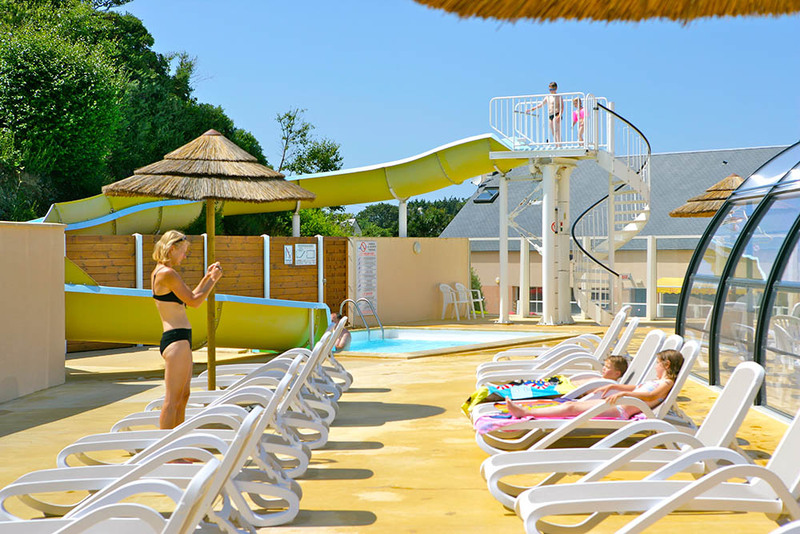 Our water park has a covered area with swimming pool and paddling pool and an outdoor swimming pool with swimming area and water slide. 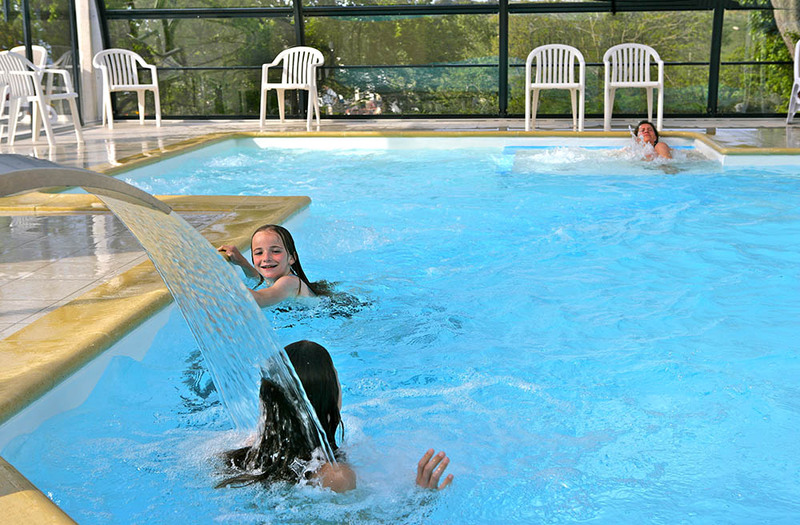 To make the use of the pool as comfortable as possible, the changing rooms and sanitary facilities are heated as well. 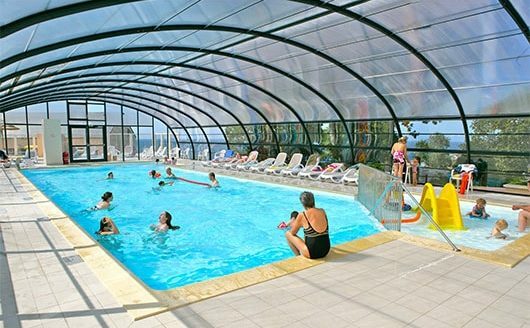 The indoor pool is a place for swimming as well as relaxation, the indoor pool is 17 meters long and 6.5 meters wide. 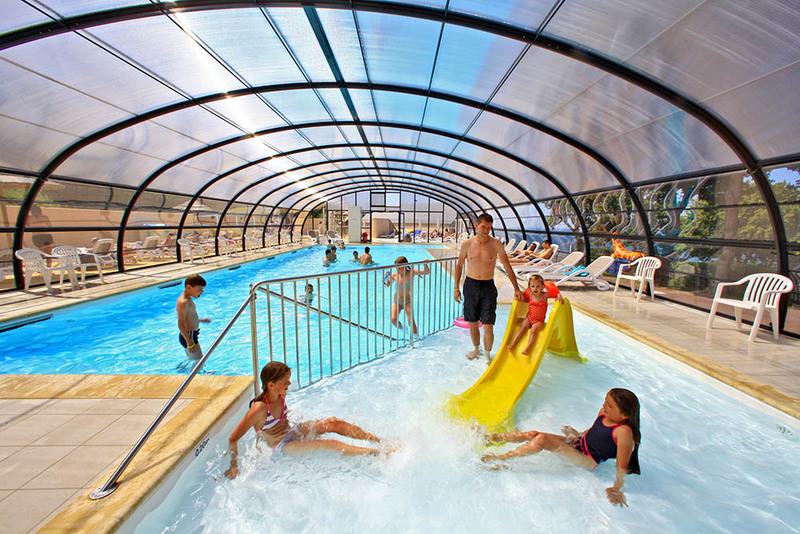 The water is heated at 28 degrees Celsius so you can swim the whole season. The indoor pool has various well-being facilities: massage jets and a waterfall with hydro massage to relax the neck and back, an anatomically shaped bench with a massage disc for the feet provide a wonderful relaxed feeling surrounded by bubbles. There are loungers around the pool to relax. 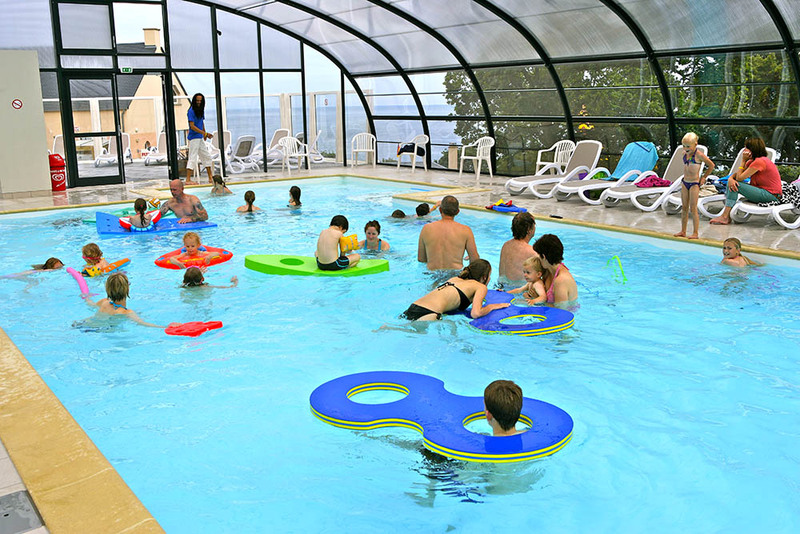 In the corner of the indoor pool is a shallow paddling pool, designed for the little ones to take advantage of the water. 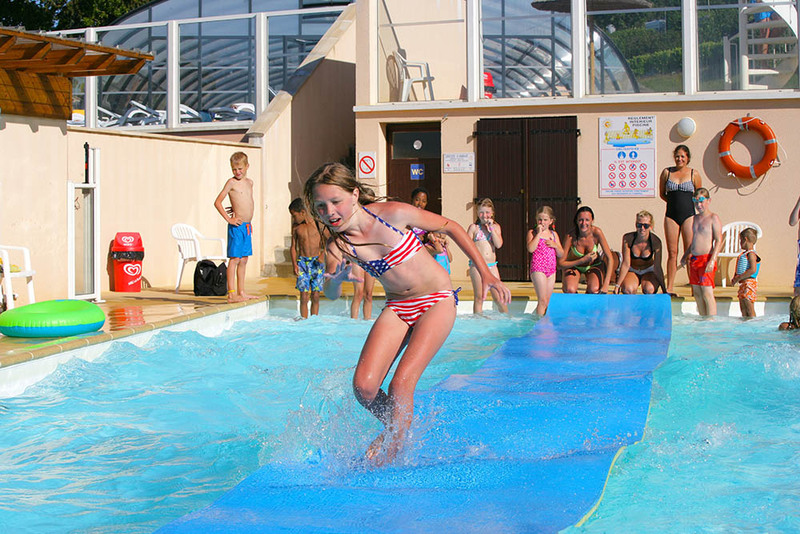 Safe and equipped with a small slide, the little ones will experience for the first time in a pleasant way what it is like in a swimming pool. 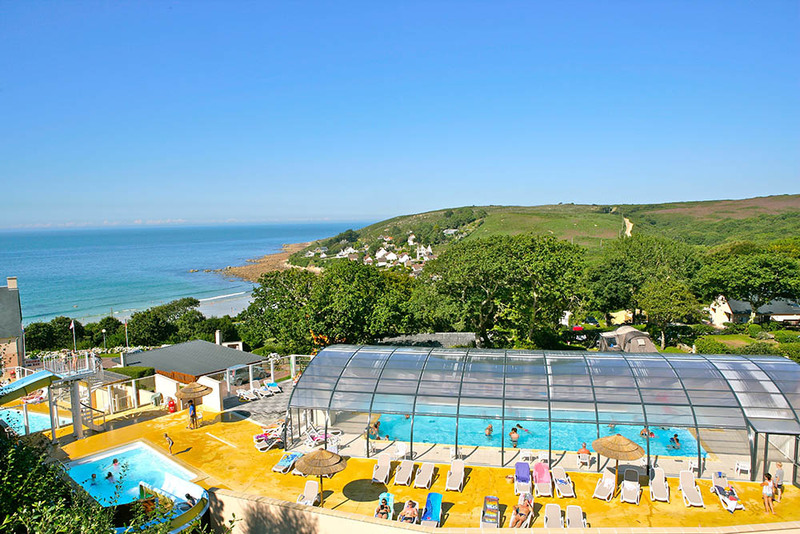 The heated outdoor pool is accessible from June to the end of August. 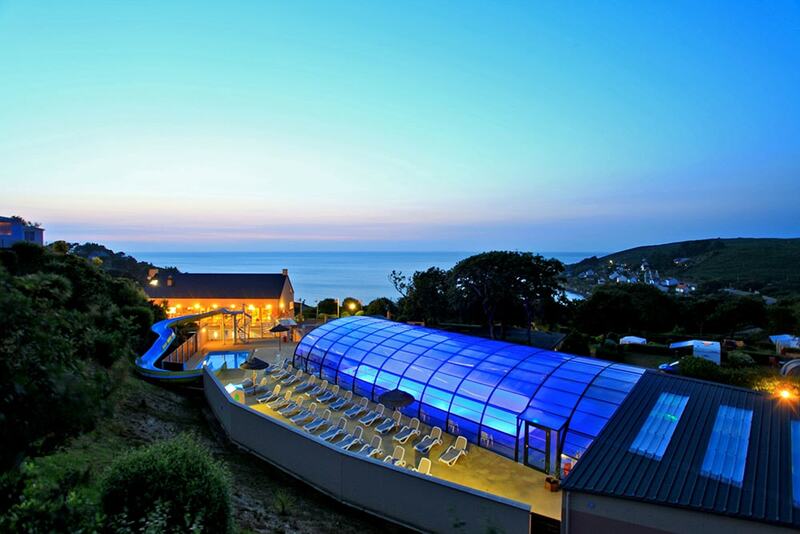 The outdoor pool is heated and is 19 meters long and 6.5 meters wide. In high season there are also sports activities organized in the water. 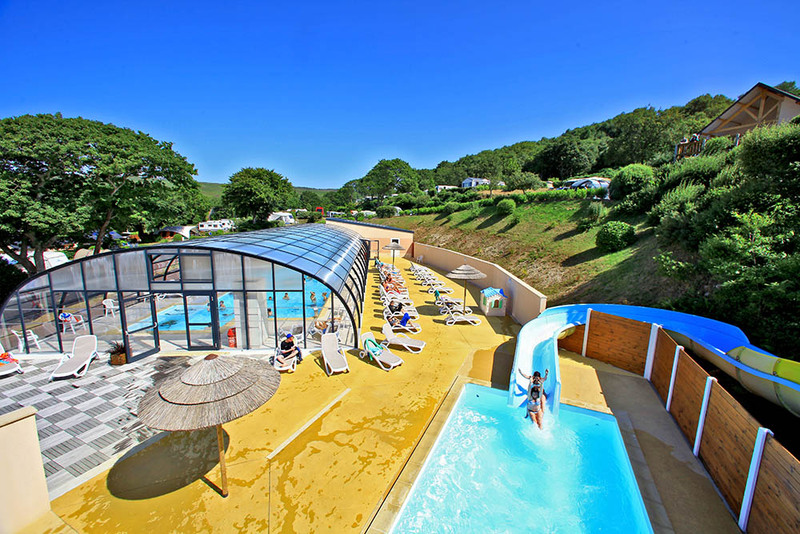 The campsite bar, located next to the outdoor swimming pool, allows you to have a drink on the terrace while the children are having fun in the swimming pool. The slide ends in a separate basin so it does not bother swimmers. 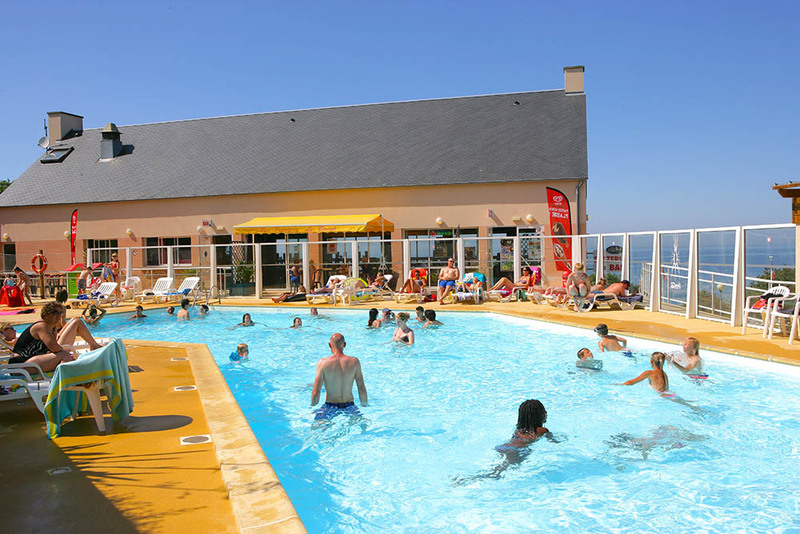 Access to the swimming pool is free and reserved for customers of the campsite. Children are under the responsibility of the parents. 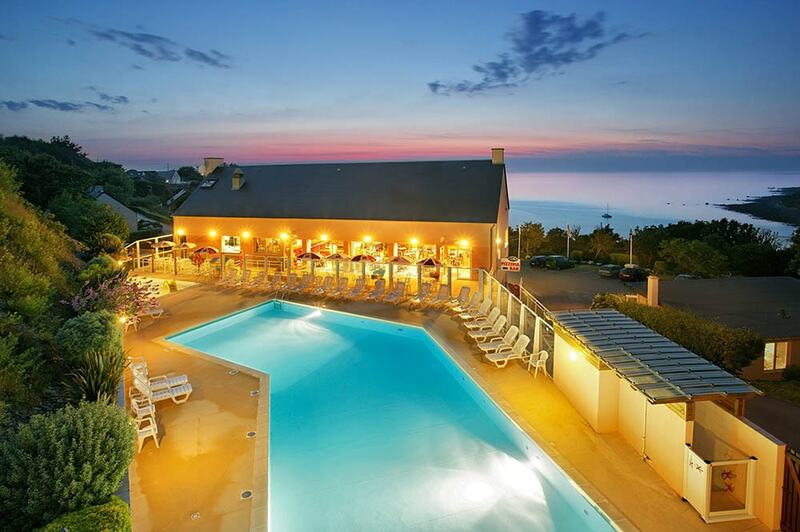 Le Brick pizzeria and La Maison Rouge restaurant welcome you for a dinner on the campsite. From the campsite, you can access the beach directly. 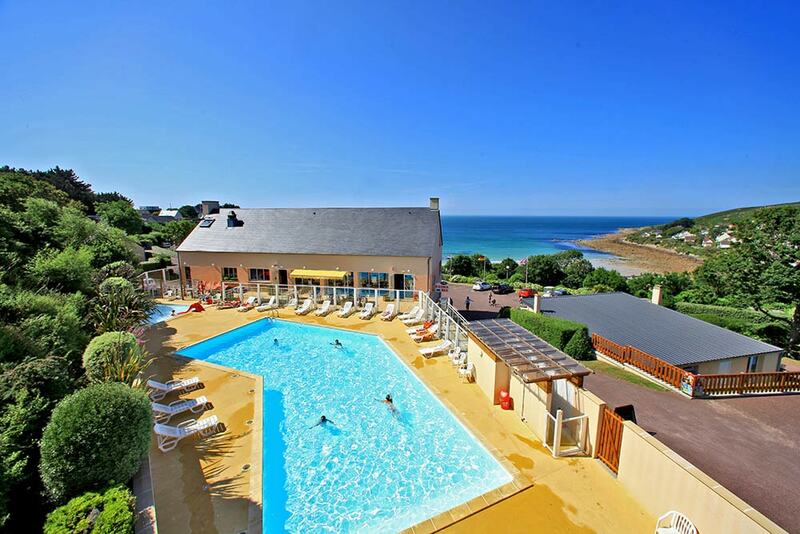 Discover this beautiful bay and enjoy the sea air.